Cornwall, as many of you have undoubtedly found out, isn’t blessed with the best transportation system in the world; it takes about an hour and a half to even get out of the county if you are travelling from Penryn or Falmouth. 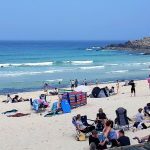 So how on earth can you get out and see what Cornwall has to offer? The obvious route to go down is to drive, but many students on this campus either cannot drive or don’t have a car. If you are lucky enough to own a car, arrange days out with your friends; make the most of having the easiest form of transport to get around Cornwall. The benefit of having a car is you can explore pretty much anywhere without having to get train or bus connections. 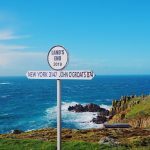 Navigating the bendy roads is tough, but if you are going to get lost anywhere in the UK Cornwall is the best place because you are bound to discover something; from little cafés in the middle of nowhere to stunning secret coves.